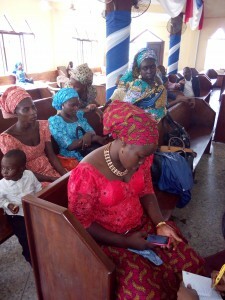 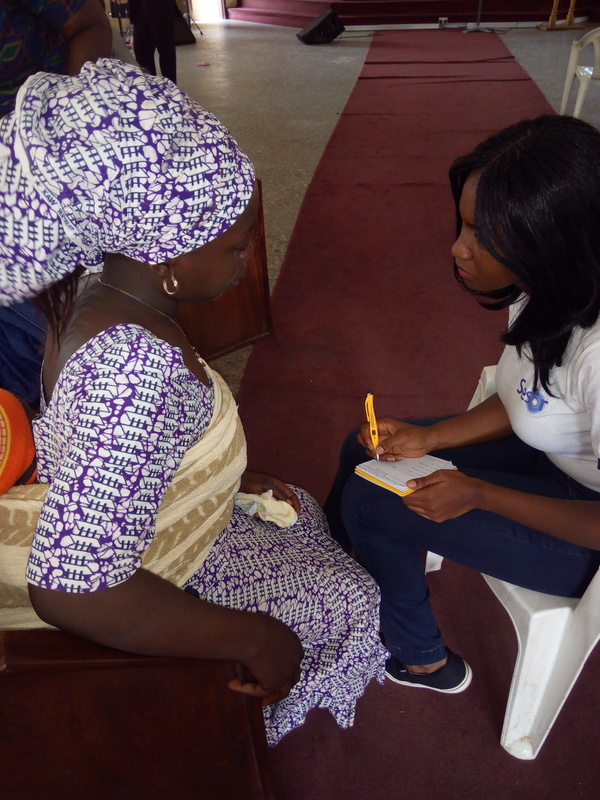 On Sunday 14 August 2016, Sesor began the registration exercise of 50 women who can now access funds to start or scale up their micro businesses through our rehabilitation programme for the internally displaced persons (IDPs) at EYN (Church of the Brethren) Magodo, Lagos. 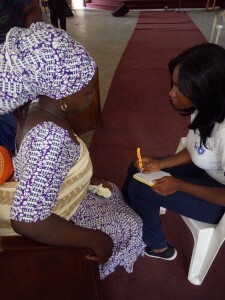 The programme is an initiative of Sesor and is in partnership with Grooming Centre, a microfinance non-governmental organization. 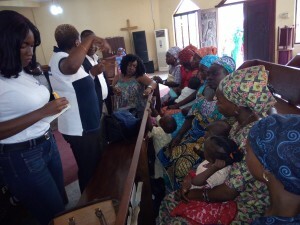 During the exercise, Sesor’s Executive Director, Ms Ier Jonathan-Ichaver, said that the programme is an important part of rehabilitating the women who have been struggling to sustain a means of livelihood in an unfamiliar host community. 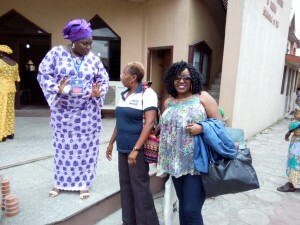 Also present at the exercise was the Sesor team – the Communications Officer, Jasmine Asekome; the Programme Officer, Chioma Dike; Sesor volunteers Busayo Obey and Amaka Nwosu. 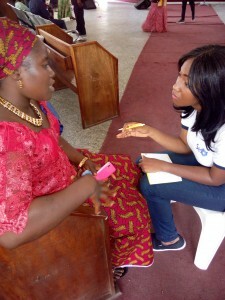 Speaking with one of the women, the Communications Officer, Ms Jasmine Asekome noted that the woman, a mother of 3 young children, is apparently struggling with the frustration of making ends meet by selling akara to support and feed her family daily while her husband struggles to pay the monthly rental of their ‘pako’ (shack). The Chairman of the Welfare Committee at the church thanked the Sesor team for their hard work and sacrifice in ensuring a better life for the disadvantaged women and their families. 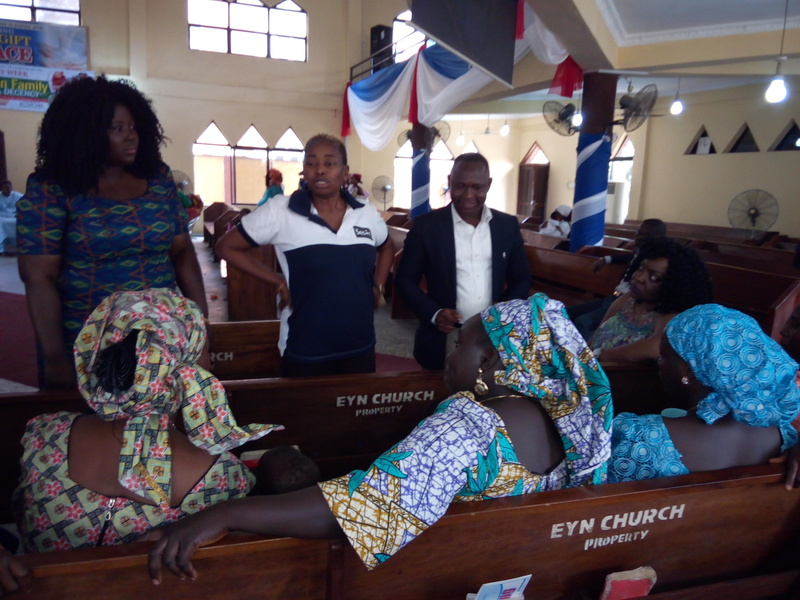 He stated that the church pledges its utmost support to Sesor as they continually work together towards achieving Sesor’s rehabilitation goals.